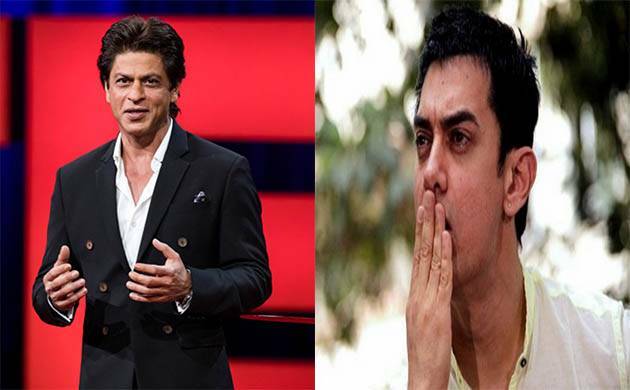 Shahrukh Khan to replace Aamir Khan for Rakesh Sharma’s biopic ‘Salute’? If sources are to be believed, it is King Khan who has replaced Aamir for the biopic ‘Salute’ which is based on the life of the first Indian astronaut to go into space, Rakesh Sharma. Last year, when the news of Priyanka Chopra and Aamir Khan coming together for a project left the fans excited, now latest reports indicating that Aamir Khan has walked out of the project has left many heartbroken. An official confirmation is yet to be made on the news from the makers or from the actor. As per a report by Deccan Chronicle, an insider confirmed, “Aamir is not someone who will do a film if he’s not 100 percent convinced of it. When Siddharth Roy Kapur launched his own production house, one project that he had announced, was based on the life of astronaut Rakesh Sharma and the shooting was to go on the floors only after ‘Thugs Of Hindostan’ was complete. It was a 2018 release’’. ‘’Aamir was approached to play Rakesh Sharma, in a conversation started with Siddharth way back in 2016, but the star is not doing the film anymore. They were developing the script but Aamir did not like the way it finally shaped up. Everybody knows that his script sense is brilliant so in that form, so if he does not like a script there has to be something wrong with it. He discussed this with the creative team and conveyed his decision to them. Siddharth understood Aamir’s reasons as he knows that’s how the Aamir works’’, he further added. However, Shah Rukh Khan, who is currently busy hosting TED Talk India Nayi Soch conducted a #AskSRK session. One of his fan asked him, “Hi have you signed #dhoom4? #Asksrk’’. In reply to which, he wrote, “I haven’t signed any new film…yet except @aanandlrai film’’. If the news of SRK replacing Aamir Khan for the biopic becomes true, then, it would be the third time that both Shahrukh and Priyanka Chopra will be collaborating for a film after a long gap of 6 years.